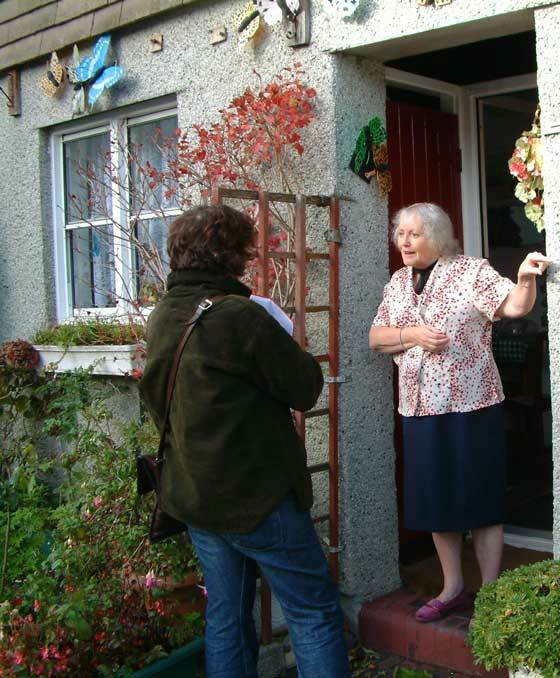 Barbara has lived in Devonport all her life. She was born in Mutton Cove to a waterman, Charley Hemmet. Charley too was Devonport-born, at Bromley Cottages in Richmond walk. As a waterman he ran two boats out of Devonport, the Clara and the Emerald, and transported passengers from Ha'penny Bridge and Mutton Cove, either to Cawsands, or on river trips up the Tamar to Cargreen and Calstock. As a young woman Barbara worked for 20 years in Millbay Laundry. During this time she married Harry Wilkinson on 2 August 1949; they had five daughters. In the early days Harry worked on the boats, with Barbara's father, but throughout most of their marriage he worked for a builder. Barbara and Harry Wilkinson lived at Mount Street for over 25 years then moved to Clowance Lane, where the photos below were taken. 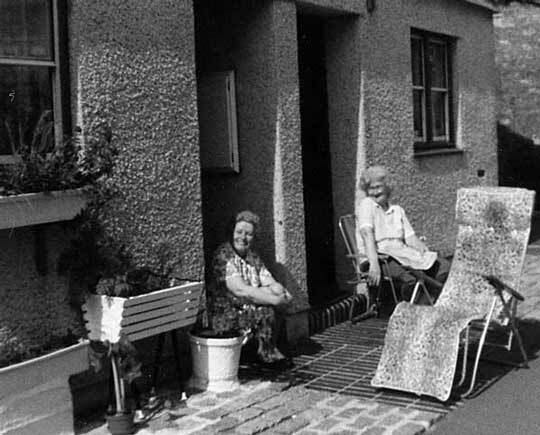 In the first image Barbara, on the left, and her friend and neighbour Winnie Parsons are enjoying the sun at front of their homes - taken in the late 1980s. The two friends continue to sit there every summer. 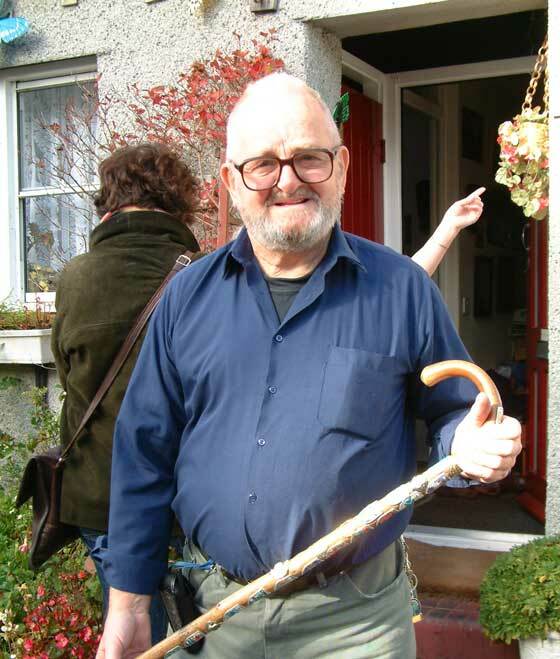 The next two photos are of Barbara and Harry at their front door in October 2002. The lady speaking to Barbara is Zoe, a BBC producer. I'd been introducing Zoe to a few Devonport residents that day, as she wanted to make a short film on the area. See also Barbara and Harry at the demolition of Mount Street.